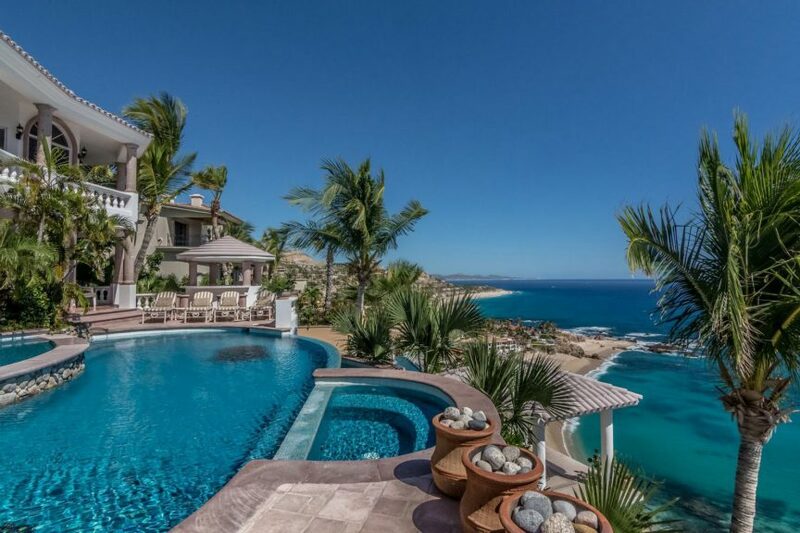 This home is perched on the promontory in the exclusive Palmilla Sur enclave. 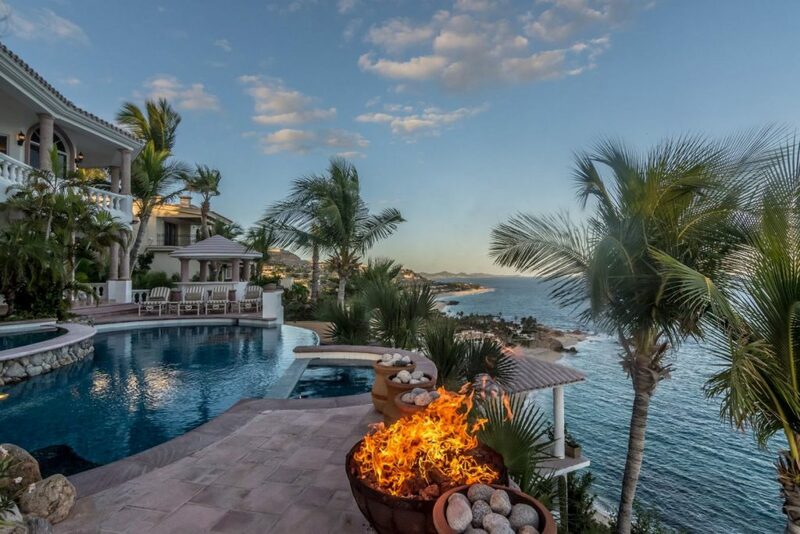 It features wrap-around terraces and winding pathways that lead down to two secluded swimmable beaches. 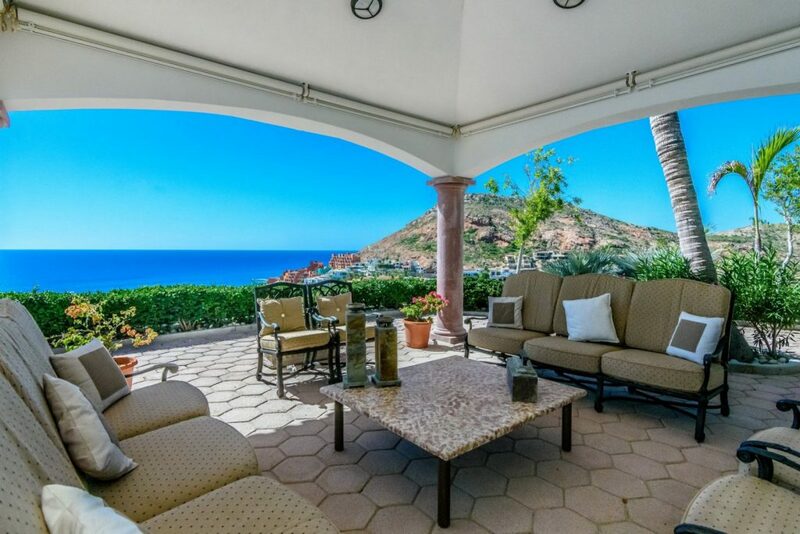 Additional amenities include two pools, multiple terraces, stunning views and 250 feet of beachfront. 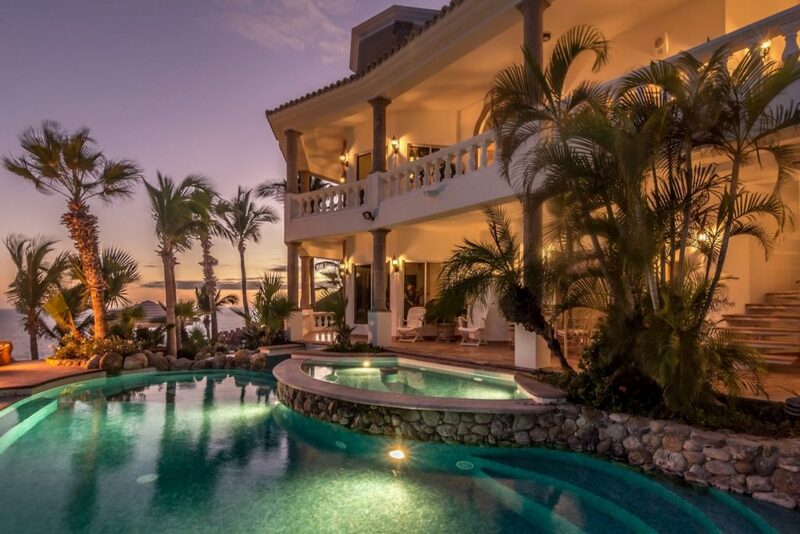 All four bedrooms have ensuite bathrooms and a separate two-bedroom, one-bathroom apartment is located adjacent to the main home.